Murder by Gaslight: The Silver Lake Mystery. The discovery of a woman’s body in a barrel, buried in a ravine near Silver Lake, on Staten Island, New York in 1875 began a frantic investigation to determine who she was and how she had died. With three false identifications and at least a dozen other missing girls as candidates for the body in the barrel, it seemed as if the Silver Lake mystery would never be solved. She turned out to be Mrs. Mary Ann Reinhardt, married to a Staten Island candy store owner who decided to take a new wife and dispose of the old one. Three boys tending cattle near Silver Lake on Staten Island, New York, September 15, 1875, happened to come across a patch of ground that yielded under their feet. 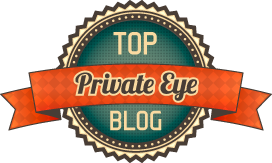 They stopped to investigate, digging in the soft dirt, removing two large stones, to find a damp piece of carpet that had been stretched over a barrel. Thinking they had found hidden treasure, the boys quickly worked to remove the carpet. They were shocked by what they found: a naked woman,with a long braid of chestnut hair, doubled up in an unnatural position to fit inside the barrel, . They ran to New Brighton and told Constable Sheehan that had found a “beautiful lady” up in the ravine. The news spread quickly through the village and a large crowd gathered to watch as the constables dug the barrel out of the ground. The body was removed, along with a linen sheet, a chemise, and an empty salt bag that were used as padding to keep the body in place. They found nothing to identify the body and her face was almost completely decomposed, the only distinguishing features were the braid of hair and two rows of perfect, white teeth. The situation was immediately compared to the death of Alice Bowlsby, seven years earlier, whose body had been packed in a shipping trunk to cover up a botched abortion. The idea that abortion was involved in this case as well was strengthened when the coroner’s examination revealed an eight month old fetus in the woman’s abdomen. The doctors believed that she had died from internal hemorrhaging. The story was made public, and the following day a young man named Louis Reige went to the coroner’s office and asked to see the body. He had lived in Clifton the previous year and had been intimate with a girl named Ellen Murphy. Reige promised to marry her, but left to take a job in Somerville, New Jersey, returning occasionally to see her. She had become pregnant and on his last visit in August she told him she would give birth in two months. When he returned on September 6, he found she had disappeared. He feared she was the girl in the barrel. Reige was taken to see the body and he immediately broke into tears. He recognized her by the perfect teeth and by the braid of hair, worn the same was as Ellen Murphy’s. The inquest had begun and Reige was taken to testify before the coroner’s jury. 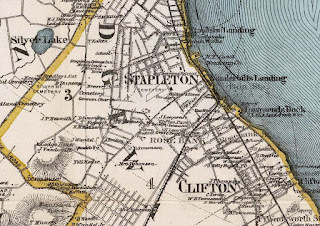 Ellen Murphy’s landlady, Mrs. Hazel of Clifton, testified that Ellen had quit her job, packed her trunk and left the house on August 30, saying she was going to visit Ireland for two or three months. When she was thirteen-years-old, Annie Hummel went to work at the home of the Schoenfelds, a wealth family in Saugerties. All went well until the summer of 1877 when Mrs. Schoenfeld went to New York to be treated for a chronic illness. In her absence Mr. Schoenfeld was seen to kiss Annie and “otherwise demean himself improperly.” In December it became known to her friends and family that Annie was pregnant. Scheonfeld said that Annie was suffering from dropsy and, against her parent wishes, sent her to New York for treatment. Annie was never seen again. While it appeared that the body would never be identified, some other clues in the case were beginning to pan out. A man named Gustave Keymer, who often visited Silver Lake to dig up water-cresses, recalled seeing a man digging a hole near the lake, six weeks earlier. The man told him he was digging a hole to bury his Newfoundland dog; the dog was inside a barrel. Keymer told him not to bury it there because the smell would be a nuisance. The man then put the barrel in a wheelbarrow and took it down into the ravine to the spot where the body was later found. The police had been able to trace the salt bag, the carpet and the barrel to the possession of Edward Reinhardt who had lived in Stapleton, on Staten Island, until July 20, when he moved to Broome Street in New York, with his new wife. The police took Gustave Keymer with them when they went to find Reinhardt in New York. Keymer took one look and identified Reinhardt as the man who he saw digging the hole. Reinhardt was arrested and taken back to Staten Island. 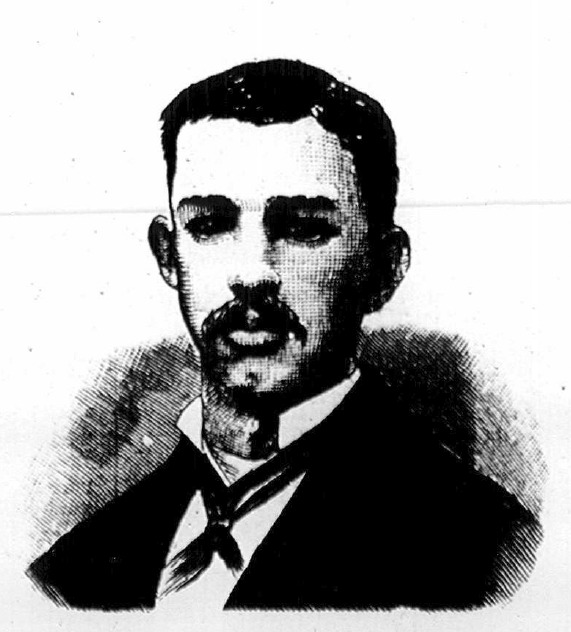 Before moving the Broome Street, twenty-five-year-old Edward Reinhardt ran as small store in Stapleton selling candy and tobacco. At the time he was living with a woman he called Mary Anne Keegan but her name was actually Degnan. At the inquest, their landlady, Mrs. Herborn, testified that they were married. Annie told the landlady that she was pregnant and worried because Reinhardt mistreated her. July 19 Reinhardt said he was moving out and Mrs. Herborn never saw Annie again. Reinhardt said that he and Annie parted company that day. Shortly before moving out Reinhardt married Pauline Ditmar. The two women had never met. Reinhardt said that he was still in touch with Anne Degnan and could produce her at any time. The police checked some addresses Reinhardt gave them, but the found no trace of Annie Degnan. 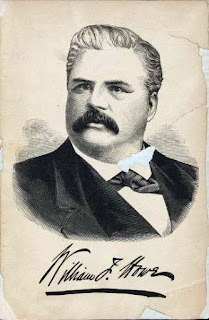 Edward Reinhardt was represented in court by William Howe of Hummel and Howe, the most prominent criminal lawyers in New York, who had successfully defended accused a number of accused murderers, in sensational murder trails. Howe defended abortionist Jacob Rosenzweig, accused of killing Alice Bowlsby and stuffing her in a shipping trunk. Though Rosenzweig was found guilty of second degree murder, Howe’s legal maneuvering had him out of jail in less than a year. This case would prove tougher. 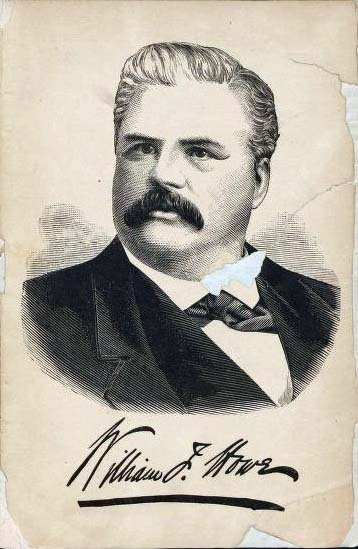 By the time of the trial, it had been determined that Edward Reinhardt, had in fact, been married since November 24, 1877, and in court was often referred to as Annie Reinhardt or “the first Mrs. Reinhardt.” The prosecution introduced all of the circumstantial evidence, testimony that Reinhardt mistreated his pregnant wife, and witnesses who saw him with the barrel in a wheelbarrow in July 20. The defense took the bold move of admitting that Edward Reinhardt buried Annie's body, but had nothing to do with her death. She had gone to New York seeking an abortion and became the “victim of violent malpractice, to which Reinhardt was not a party.” Reinhardt took the stand and said his wife returned on July 18 and the following afternoon complained of great pains after taking some medicine the doctor had given her. She died between eleven and twelve that night. He buried the body because he was afraid he would be charged with her death. The jury was not convinced. After deliberating for forty minutes they returned a verdict of guilty. There was some question as to the fairness of Reinhardt’s trial and the judge himself issued a writ of error. Reinhardt had only two meeting with his counsel who was not acquainted with the full particulars of the case. On the stand Reinhardt hurt his own case by confirming that the deceased was, in fact, Annie Reinhardt, something that the prosecution had not fully demonstrated. Reinhardt’s attorney filed for a new trial. While the New York Supreme Court considered the matter, the remains of Mary Anne Reinhardt, Nee Degnan, were exhumed once more at the request of her parents, to be reinterred at the Holy Cross Cemetery in Flatbush, Long Island. Reinhardt was tried again the following April and once again found guilty. He was scheduled to hang in April 2, 1880, but his attorney was able to stay the execution until the following January. After two unsuccessful escape attempts, Reinhardt settled in to life in prison, taking care of two large cats who shared his cell, making ship models, painting a mural on his cell wall, and conversing with sentimental ladies who would visit him. Edward Reinhardt in his Prison Cell. In January 1881, the gallows from New York City’s Tombs prison were transported to Richmond County Jail, in preparation for Staten Island’s first execution in more than a hundred years. On January 15, more than three hundred people from every town on Staten Island came to the jail, many traveling by horse drawn sleighs, to be present at the hanging of Edward Reinhardt. At a little past ten o’clock, the hangman cut the rope and six minutes later Reinhardt was dead. 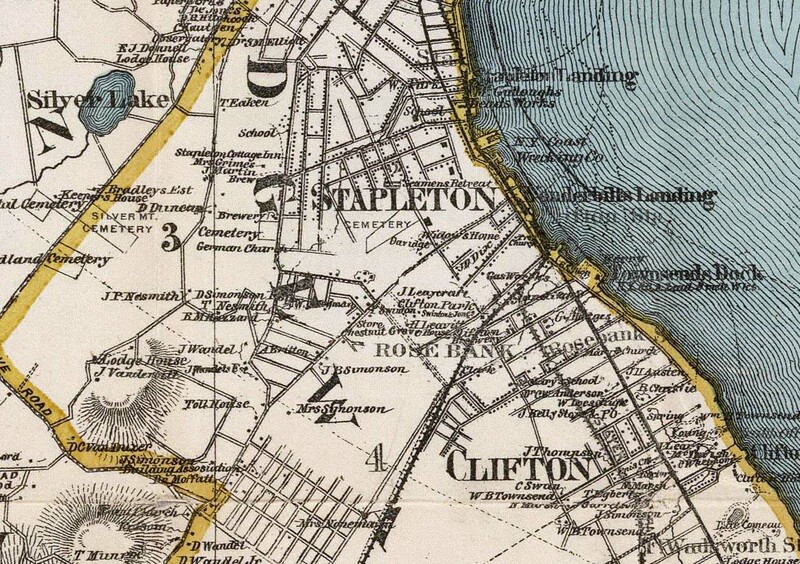 On a happier note, in November 1878, Ellen Murphy returned Clifton with a healthy baby on her arm. She had gone to New York City to have her baby and decided to stay in seclusion until matters on Staten Island settled. Louis Reige was overjoyed to see her alive and proposed marriage immediately. Miss Murphy accepted. Howe, William H. Danger! . Buffalo: Courier Co,. Printers, 1886. Salmon, Patricia M. Murder & Mayhem on Staten Island. Charleston: History Press, 2013. "'It is Annie!' The Victim of the Silver Lake Horror Positively Identified." New York Herald 21 Sep 1878. "A Life Taken for a Life." The New York Times 15 Jan 1881. "Annie Reinhardt's Death." The New York Times 23 May 1879. "Crime." Chicago Daily Tribune 22 Sep 1878. "Crime.." Cincinnati Commercial Tribune 21 Sep 1878. "Current Events." The Brooklyn Daily Eagle 10 Oct 1878. "Detectives Still Baffled.." New York Tribune 19 Sep 1878. "Edward ReinHardt Arraigned." The New York Times 18 Oct 1878. "Edward Reinhardts' Case." The Sun 23 May 1879. "Ellen Murphy Found." The New York Times 3 Nov 1878. "Expiated." The Brooklyn Daily Eagle 14 Jan 1881. "Expiation Edward Reinhardt Hanged in Richmond County Jail for Wife Murder." New York Herald 15 Jan 1881. "Fighting for Life.." New York Herald 11 Dec 1879. "Following the New Clue." The Sun 9 Oct 1878. "In the Meshes." New York Herald 8 Oct 1878. "Reinhardt Again Sentenced." The New York Times 15 Dec 1880. "Sentenced To Death." 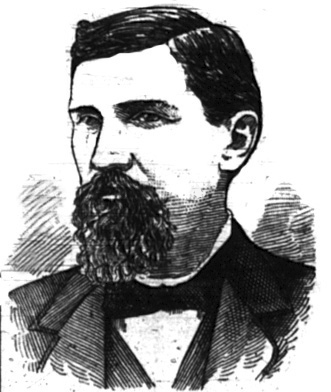 National Police Gazette 15 Jan 1880. "Silver Lake Horror." New York Herald 22 May 1879. 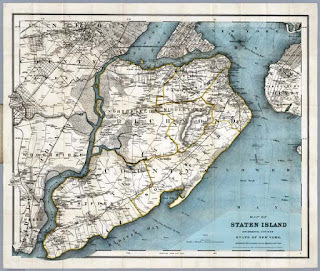 "Staten Island's Mystery." The New York Times 17 Sep 1878. "Murder Will out." New York Herald 16 Sep 1878. "The Hangman's Prey." The National Police Gazette 22 Jan 1881. "The Mystery Still Unsolved." The New York Times 27 Sep 1878. "The News This Morning." New York Tribune 22 May 1879. "The Silver Lake Horror." New York Herald 4 Oct 1878. "The Silver Lake Horror." New York Herald 22 May 1879. "The Silver Lake Murder." The New York Times 9 Oct 1878. "The Silver Lake Murder." The New York Times 18 Sep 1878. "The Silver lake Mystery." The New York Times 5 May 1879. Grisly, torture and death from abortions is a state to which reich wingers would love to see us return. Poor women of any race is cursed from birth; esp. when the men in their lives secretly hate them. A loved one is cared for and not tormented.